✔ GREAT FEATURE : (ANION – Negative Ion Function) Sanitizing Clothes Dryer which helps the dryer clean the clothes causing mold spores, pollen, pet dander, odors, cigarette smoke, bacteria, viruses, dust and other hazardous airborne particles. Negative ionizers are proven to clear the air of dust, pollen, pet dander, mold spores and other potential allergens. Anions has tons of health benefits too! 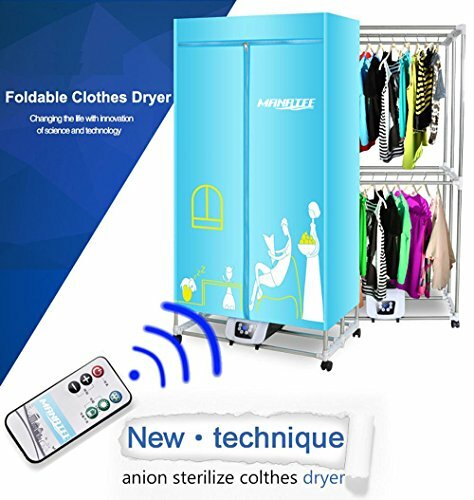 ✔ INTELLIGENT CLOTHES DRYER : Powered with ENERGY SAVING TECHNOLOGY. 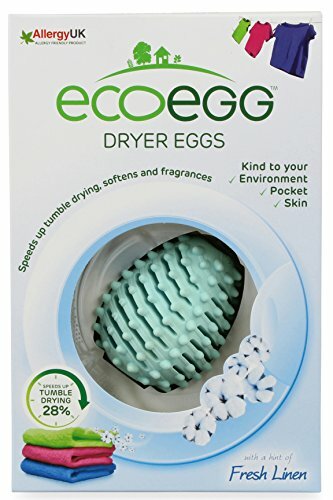 Dry faster and does not damage clothes. Ventless Heated Dryer. 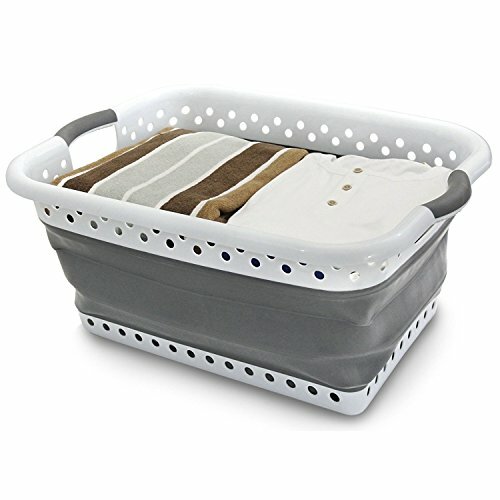 Lightweight, easy to assemble and disassemble. 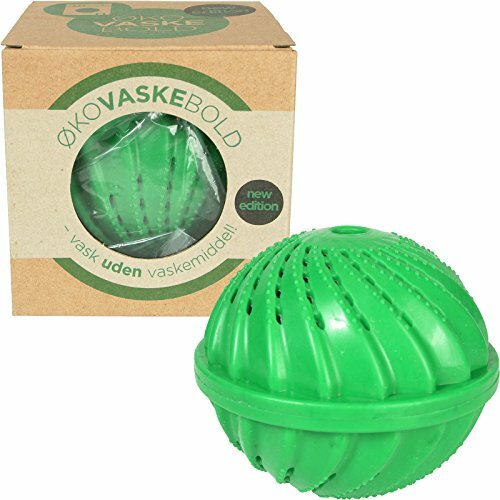 Dust proof and easy to clean. 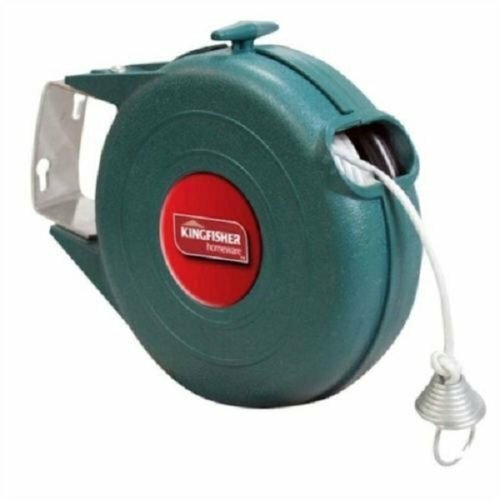 Very Quiet (Noiseless) Machine. ALUMIUM HANDLE WITH SOFT GRIP – durable and easy to carry. MATERIAL – Doublelayer 600D fabric oxford with PE coating inside for waterproof. 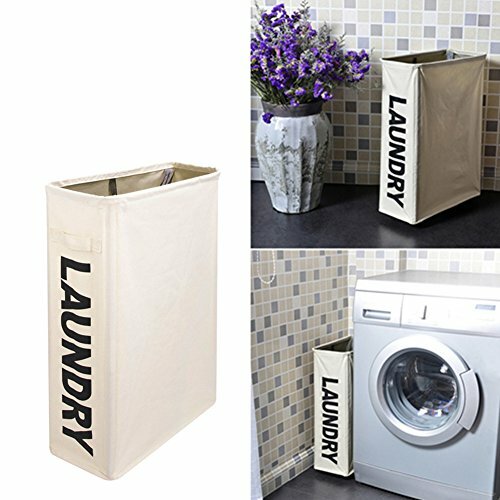 DIMENSIONS – 15″(D) x 28″(H) / 38(D) x 72(H)cm includes handle, large capacity. RETRACTABLE CLOTHES LINES – This Amazing Little Washing Line Is A Fantastic Idea For Small Or Busy Garden. Simply Pull It Out The Housing Unit, Attach At The Other End And Hey Presto An Instant Washing Line. 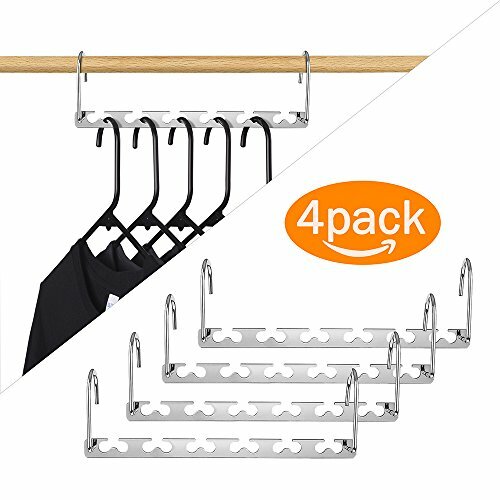 SPACE SAVING – This Wonderful Little Washing Line Is A Fabulous Invention For Homes With No Outdoor Space Or Small Garden With Little Space. No Need For A Ground Fixed Airer That Takes Up Space. 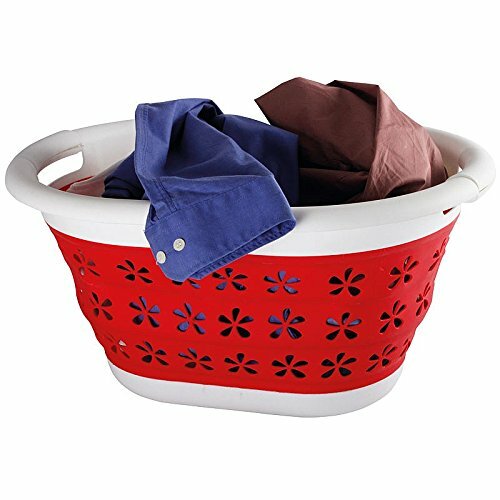 INDOOR OR OUTDOOR USE – These Laundry Clothes Lines Can Be Used Indoors Or Outdoors And Especially Useful For Flats As The Unit Can Be Attach To Any Surface As The Unit Comes With All Fixing Screws. 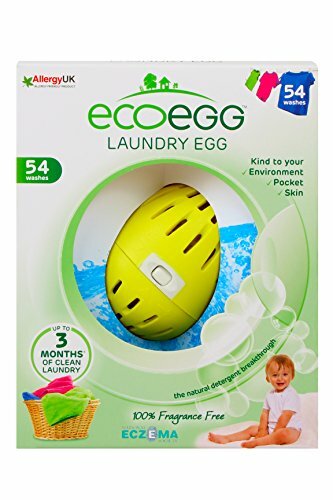 Eco-Friendly Magic Laundry Washing Machine Clean & Soften Clothes Wash Ball. 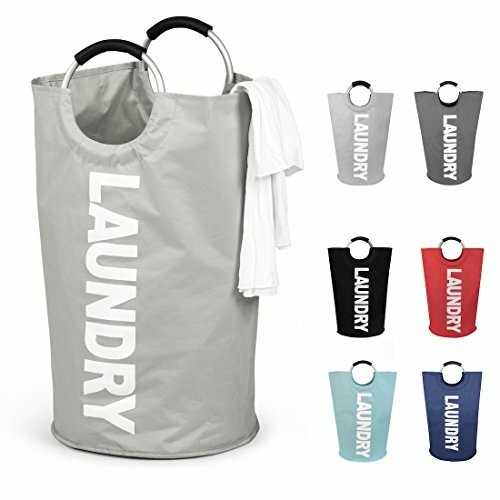 With this intelligent design there’s no need for detergent or softener for up to 1000 washes. 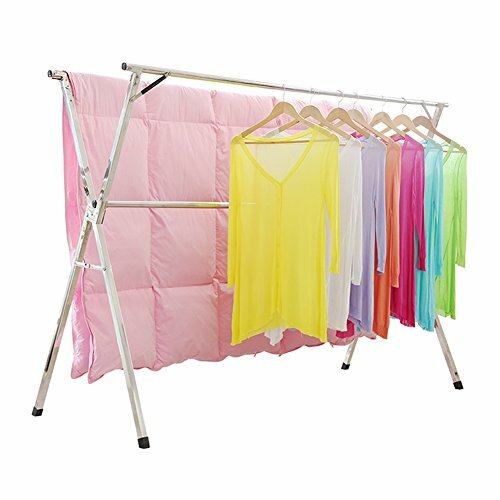 1.HEAVY DUTY DRYING RACK: The Length can Flex from 43 to 59 inch, the Max Size is 59x30x52 inch. 2.STAINLESS STEEL: the Material Including the Fastenings is Stainless Steel, Perfect for Indoor or Outdoor Drying. 3.SAVE SPACE: Easy to Open and Close with the Attached Instruction, Foldable and Save Space. And the Folding Size is 59×4.72×3.54inch.